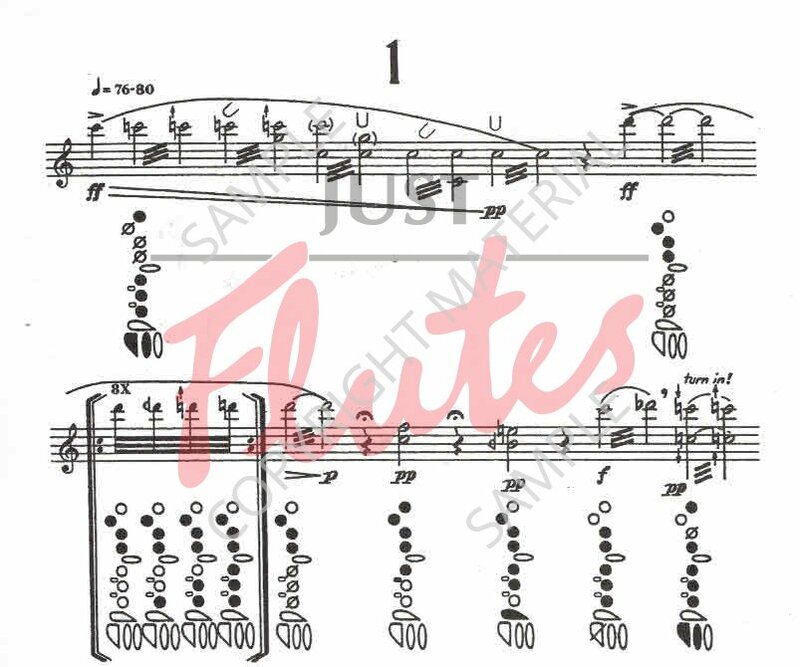 Flutists spend a lot of time practicing etudes, but rarely perform them because most etudes simply are not good enough as music to play for people. 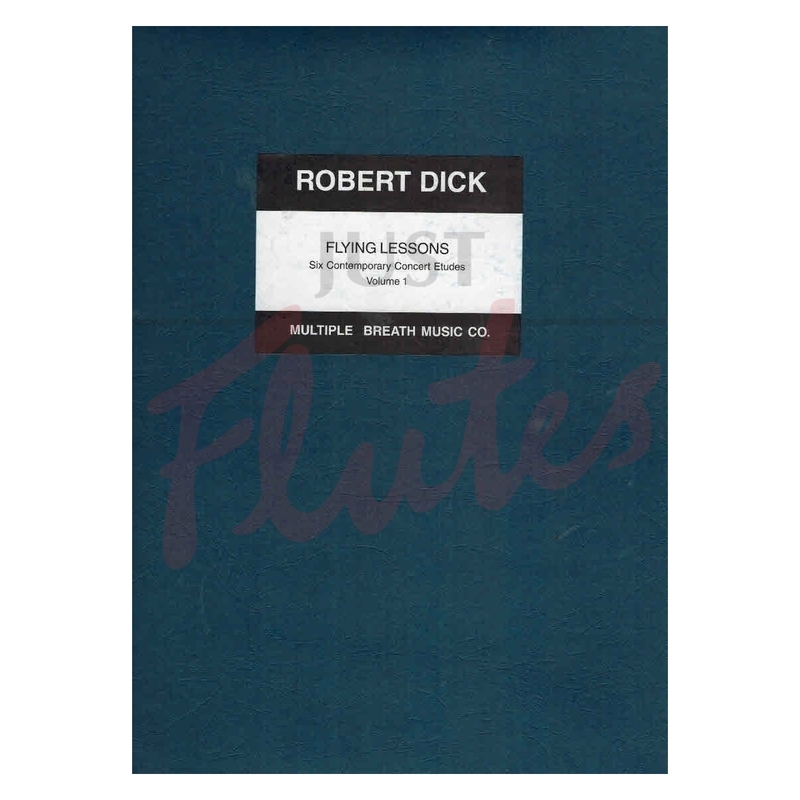 My compact with every flutist willing to do the work to learn Flying Lessons is that you will have music you can play in your concerts – and audiences dig this stuff! You will hear, again and again, I never imagined a flute could sound like this. Its wonderful! 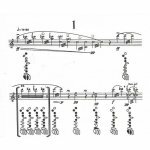 These short pieces, composed in 1983, use multiphonics, glissandi, percussive sonorities, singing with playing and other extended techniques in an original, lyric style. Clearly notated with accurate, easily readable fingerings.